There’s no other way for me to say it: I love this book. It’s a debut from a young writer called Emma Cline who I feel is a literary star of the future – actually, scrap that – of the present. This book is one of the best explorations of what it feels like – what it really feels like – to be a girl in the world that I’ve read for ages. Evie Boyd is the everygirl of the story. One day in the Californian summer of 1969 she sees a group of strange girls in town and is seduced by their apparently effortless cool, their worldly knowing. Without reflection, she wants in. She finds a way to follow them to their communal living arrangement at a ranch on the outskirts of town and ingratiates herself into their world. That world includes Russell, a shadowy figure who, for reasons unclear, has all the girls under his spell and for his use. 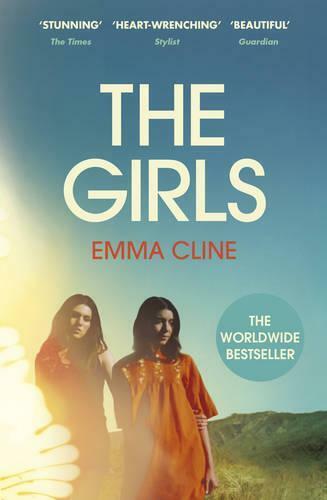 You may have heard already that the story of The Girls loosely follows that of the infamous Manson family, and while the plot’s arc takes the reader to the violent and bloody extremes of that history, it is in many ways incidental to the power of this book, which lies firmly in its insight into that time during adolescence where the yearning to belong and to find your place in the world overtakes almost all else. Cline’s portrayal of the utter desperation of being young is so sharp it hurts. This narrative intent is made even stronger by the view offered by the older Evie, who reflects on the intensity of that summer, and how she found herself so close to the chaos and degradation of Russell’s cult. And if you need any further encouragement to read this book, I can also tell you it is written so incredibly beautifully that there are many, many sentences that are heartbreakingly good. As I said: I love this book. Alison Huber is Readings’ Head Book Buyer.